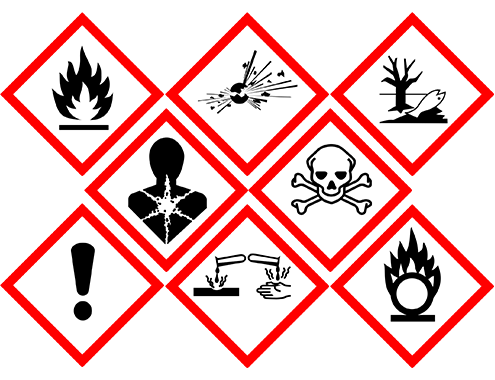 The Globally Harmonized System of Classification and Labeling Chemicals (GHS) is a hazard identification (classification) and communication (labeling) framework that is currently being implemented around the world. Its widespread adoption is changing the landscape of chemical assessment, both for communicating hazards to workers and for characterizing the toxicity of consumer products. As a result, accurate and consistent identification of hazards is increasingly important to regulators, companies throughout the supply chain, and the general public. Gradient recognizes the complexities of GHS both with respect to technical attributes of the framework, as well as the challenges that come from implementing GHS requirements in a global economy. Our familiarity with the GHS framework is complimented by in-depth expertise in toxicology, ecotoxicology, and chemistry. These skills are becoming increasingly critical for meeting basic GHS-related requirements but are even more important when evaluating complex or novel chemicals with limited data or toxicity information. Gradient conducted GHS-based hazard assessments for a chemical portfolio consisting of more than 1,500 chemicals used in the formulation of tens of thousands of products. The hazard assessments were used to understand product-level hazards and update US and international Safety Data Sheets (SDSs) to meet GHS compliance requirements. To efficiently complete the task we also developed a comprehensive hazard information database that was used to document and track component-level conclusions, calculate product level classifications, and identify necessary ingredient disclosures across international jurisdictions. Gradient partnered with a global safety certification company to develop recommended best practices for assessing chemical hazards and risks associated with personal care products, focusing on those used in infant care. We performed a comparative review of several existing health assessment frameworks and made best practice recommendations for numerous categories, including hazard assessment, toxicity endpoints, data requirements, filling data gaps, etc. Gradient then “benchmarked” the best practice recommendations against those currently performed by the personal care product company. Gradient developed a comprehensive hazard evaluation system for scoring and ranking a large portfolio of ingredients and products used in the oil and gas industry. We compared it with other existing chemical hazard evaluation and product scoring/ranking systems and conducted a sensitivity analysis of the underlying components of the ranking “variables” to evaluate the system’s robustness. We then applied the system to score and rank the product portfolio – information that is being used by the client to understand relative hazards and to market their products. Gradient provides ongoing toxicology support for a company that markets printer equipment and ink. As part of this role, we conduct new material reviews, which involve a GHS hazard assessment for each new chemical introduced into the market. These assessments are used to create compliant SDSs across the globe, as well as benchmark products against an internal product stewardship standard.
" To assure so far as possible that every worker has a safe and healthful work environment."